Chairman of Expediency Council of Iran Mohsen Rezaei has said that Israel don't have courage to attack Iran. 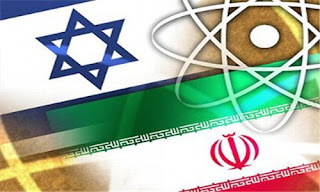 Rezaei given a Interview to Press TV on Saturday in which he blamed Israel for the killings of Iranian Nuclear Scientists. He said Its not possible for Israel to launch a direct military attack on Iran so it is trying to promote terrorism in Iran and Killings its Scientists. During 2010 Several Iranian Nuclear Scientists where killed in different attacks. Scientists like Ali-Mohammadi and Professor Shahriari where killed in attacks. Iranian Government blamed Israel and US for these attacks. If we see in the history Israel has destroyed Nuclear programs of many Muslim countries before they where able to make Nuclear weapons. Pakistan was the only Muslim country that succeeded in making Nuclear weapons. Israel and India jointly tried to destroy Pakistan's Nuclear program but they failed to do so.